No matter what venue you book an inspiration board is a must. During the wedding planning process you will be given tons of advice. From traditions to new fads everyone has their word about your special day. You want it to be memorable but as long as it’s memorable to you that is all that matters. First things first. Explore and get some inspiration. The best moves to make after the ring is on are to decide on a budget and then a venue. 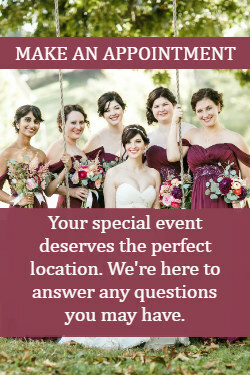 The venue will be your main source for a theme. Next a fun part. Get inspiration from Pinterest, magazines, wedding websites, friends, and family. The options will be endless but trust your instincts on the must haves. Not every idea has to end up at the wedding. Take pictures off of the Internet and put into a word document. This doesn’t need to go over 10 pages to get your point across. Include your colors, flowers, décor for ceremony and reception, and must haves. Got to have a white castle bouncy house or twelve flavor ice cream bar add it in. Write little notes by the pictures. This can tell your vendors different things that you are looking for. Maybe you have two pictures of bridal bouquets because one has the colors you want but the other is the shape. This is a big help for others to see your vision. An inspiration board can help with budget. If your wish is tons of mason jars filled with tiny flowers but you don’t want to have to buy and then be stuck with them afterwards your venue or rental company can help you when they see what you want. 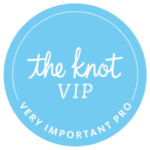 Finally with friends and loved ones giving great advice about how they had their wedding you can provide them with an inside look at what your dreams are for your big day. ← Say Yes to Seating Charts!